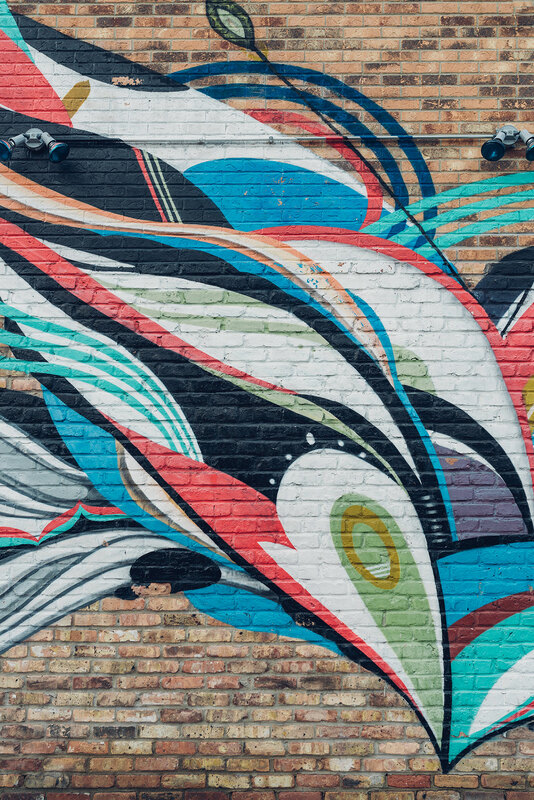 Pilsen, a neighborhood in Chicago's Lower West Side, has evolved from workers' haven to Czech political ground to a landscape of public murals and art, and it combines all those influences to bring warmth and color to the Windy City. Outposts is a two-part series by Atlantic Re:think and The Lincoln Motor Company that explores the historic, evolving neighborhoods that show how a city's identity is built from influences on its frontiers. Both on the journey and for the length of your visit to such a place, the experience and the memories it leaves behind are all in the details. Pilsen might be the only place in the country where decades-old taquerias—Mexican restaurants specializing in tacos—line streets with Czech names, and vibrant public murals turn alleyways into exhibitions. South and west of Chicago proper, the neighborhood of Pilsen is geographically small but densely packed with vintage stores, Mexican restaurants, art galleries, record stores, young visitors, and families who have been in the area for generations. In the mid-19th century, Pilsen was serviced by multiple major trade routes into Chicago, attracting German and Irish immigrants who initially developed the neighborhood now known as Pilsen. The abundance of jobs in manual labor also attracted a significant population of Czech immigrants to the area beginning in the 1870s. The first time “Pilsen” was applied to the neighborhood was likely with the opening of a neighborhood restaurant called “At the City of Plzen”: Plzen was then the second largest city in the Czech Republic, and the Czech population in the Chicago neighborhood was, by the late-19th century, overshadowing the German and Irish presence. As industry increased and considerations for workers lagged, widespread strikes proliferated and eventually culminated in the citywide Haymarket Riot of 1886. Murals and posters advocating for workers’ unions and fair labor conditions still paper Pilsen’s streets. 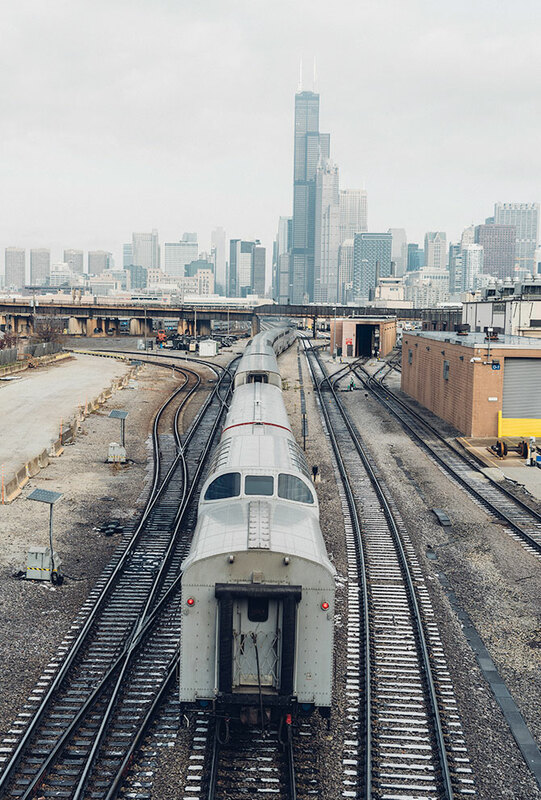 The train lines that ran in and out of Chicago attracted huge numbers of workers from eastern Europe, many of whom began settling the western area of the city that is now Pilsen. Labor and work continued to help define the neighborhood, as worker shortages during World War I and infrastructure projects that tore other neighborhoods down brought a growing number of Mexican immigrants to the area. The need for a new University of Illinois campus forced a large portion of the Mexican population to move out of a neighborhood to the north, and, by the 1970 census, Pilsen had a Latino majority. A neighborhood community center, formerly known as Howell House, was renamed Casa Aztlán to reflect the new demographics. The public art scattered around Pilsen takes the form of tiled mosaics and architectural patterns as well as paintings and street art. 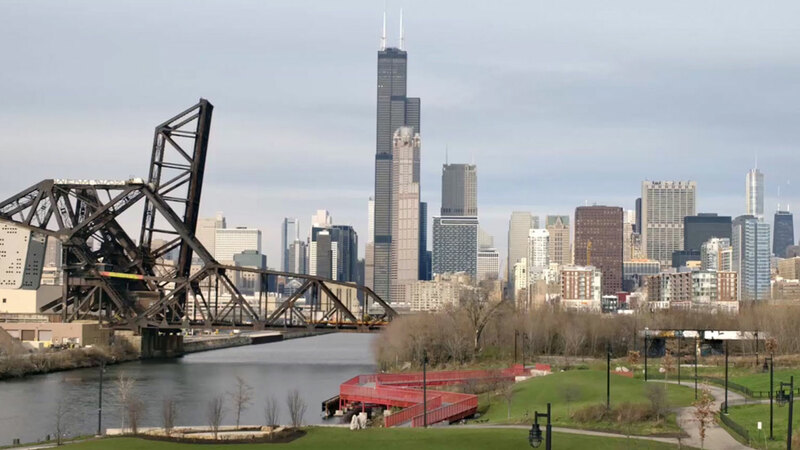 The neighborhood is now bound, roughly, by South Damen Avenue and South Halsted Avenue to the west and east, and by 16th Street and West Cermak Road to the north and south. Pilsen has become a haven for young artists in need of affordable studio space: Its galleries and studios are included in Chicago’s monthly Gallery Night. For both locals and visitors, Pilsen itself also hosts an art walk every first Friday of the month that explores the public art, galleries, and open studios of the neighborhood. Its residents have fought hard to maintain its character, and though it continues to evolve, it’s incorporating new influences rather than being overshadowed by them. Click on any of the hotspots in the map for more information on the locations highlighted below. How do you create an immersive experience? Start from the ground up, spending time with every detail as it relates to the larger whole. To get the most out of any journey, pay attention to craft, and go with a guide. The Lincoln Continental's* rear-seat package, with lumbar support, heating capabilities, and space to go around, makes the backseat a frontrunner. A neighborhood’s best bites aren’t always the obvious ones. Eateries and specialty stores that are off the radar can offer more flavor than their more publicised counterparts. The Revel® Ultima* audio system consists of no less than 19 speakers placed throughout the Lincoln Continental, immersing you in high-quality, seamless sound. 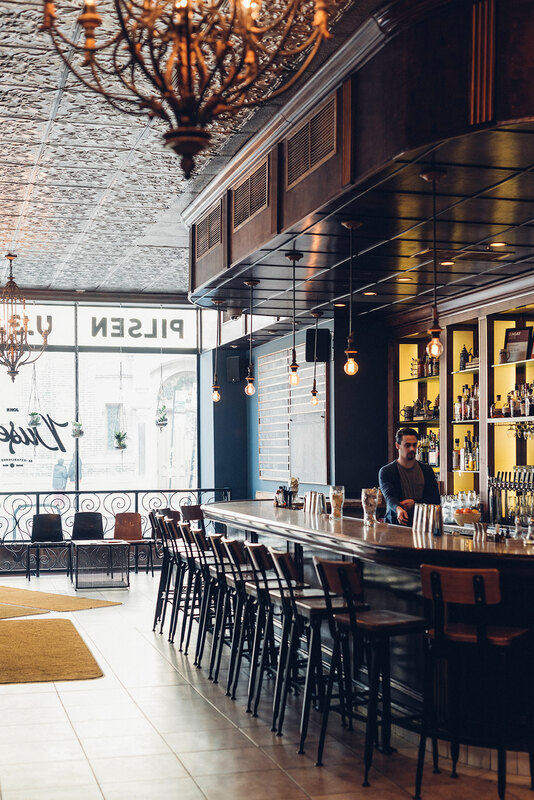 History is everywhere you look in Pilsen, from Thalia Hall’s roots as a Czech political meeting ground to the National Museum of Mexican Art’s 3,000-year-old pieces. The twin-panel moonroof* opens up the sky to both the back and front seats, keeping every passenger engaged with their surroundings no matter how long the trip. 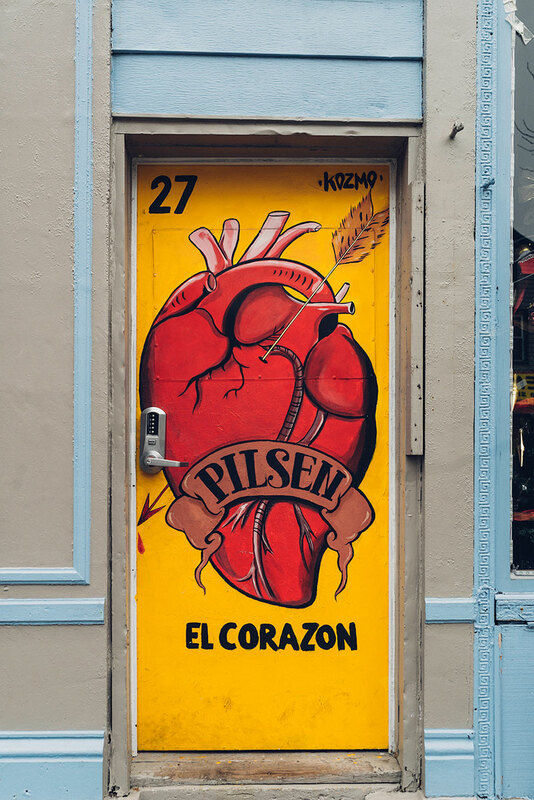 All you need to do to experience Pilsen’s art is walk through the neighborhood: Sprawling murals, painted doors, and open galleries are on every corner. When Mary Gibbons and her business partner opened Pilsen Community Books in February 2016, they knew that their strengths were twofold: They knew how to choose books, and they knew how to sell books. Their beautifully curated and maintained storefront on 18th Street and South Carpenter Street make that clear. What might be less clear to a passerby is the store’s implicit presence in Pilsen’s classrooms. Through a book-giveaway program, the store donates entire curricula to local schools, using their own sales profits and outside donations. Mary, who has lived in the neighborhood for six years, calls Pilsen “more of a community than other neighborhoods I’ve been in,” which is why a fundamental part of her store’s mission is to reinvest in its neighborhood. Pilsen’s public art is more than decoration. 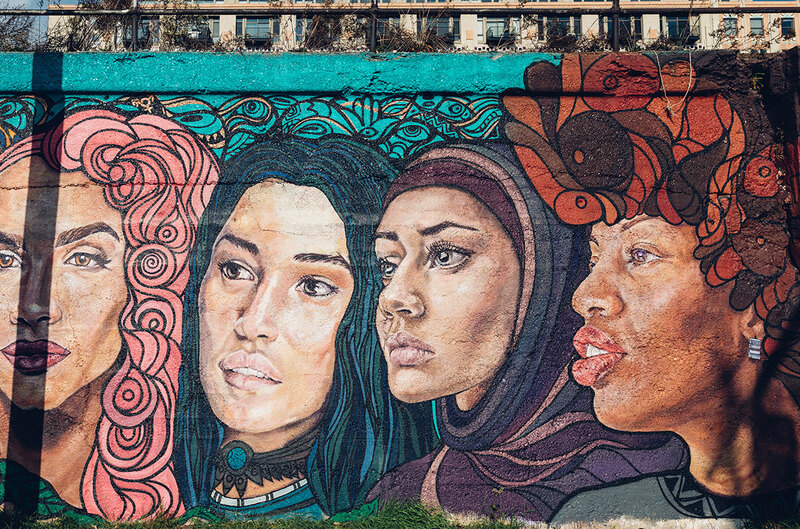 Many of the murals scattered throughout the neighborhood —often political and uplifting—were part of a 2012 ward initiative with the Chicago Urban Art Society to reimagine abandoned or underutilized space. 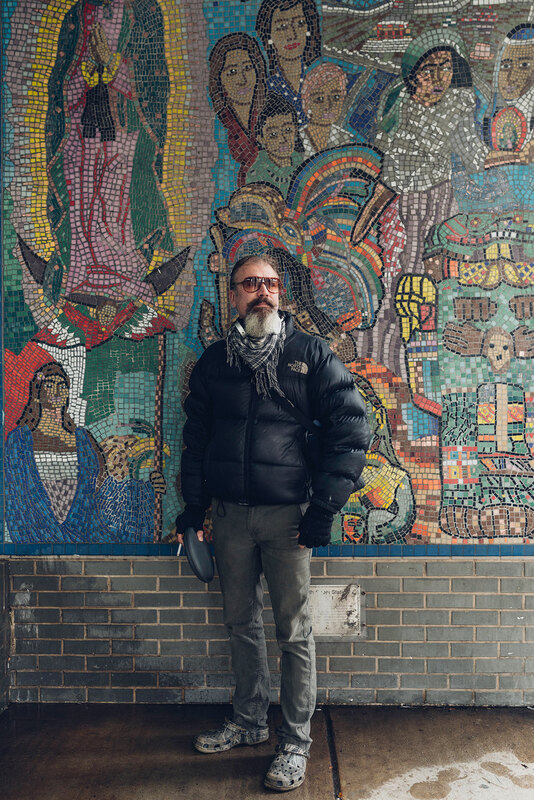 Ruben Aguirre, an artist who lives and works in Pilsen, says that the neighborhood has always embraced public art as a form of expression, community, and freedom. The painted door on the right is a piece by Brenda "Kozmo" Macias. Paintings cover residential doors, business exteriors, and even alleyways. Mexican history influences many of them, as does activism and social-justice messaging. Ruben is a painter, but that word doesn’t seem to sufficiently describe what he does. He uses entire cities and streets as his canvas, taking influence from everything, from traditional architecture to contemporary Latino art. 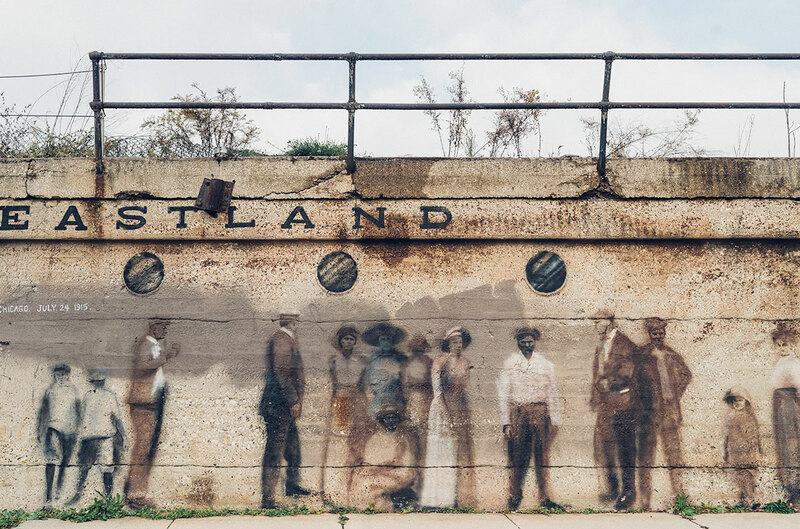 Born and raised in Chicago, he now lives in Pilsen, where he always considers how his work affects the context and neighborhood in which it will be placed. Pilsen has been mainly Latino since the 1970s, mostly due to its historic Mexican community. A wealth of deeply rooted, family-run establishments that local residents swear by blanket the neighborhood and showcase the great diversity of Mexican food, with menus that go far beyond tacos and burritos. These are just a few of Pilsen’s specialty spots, but duck into any Mexican restaurant in the neighborhood and you’re likely to eat well. At Xurro, customers can watch their churro order being made and filled with chocolate or cream right before digging in. The smell of fresh dough radiates out for blocks. On West Cermak Road and South Wolcott Avenue, on the south border of Pilsen, the smell of fresh, homemade churros have greeted students on their way to the nearby high school for 20 years. Founded by Ramon and Irma Covarrubias in 1996, the unassuming but warm eatery space now has branches in downtown Chicago, and across Illinois’ nearby suburbs. Since the churros are made and filled with chocolate or cream in-house, you might even get them straight from the oven. 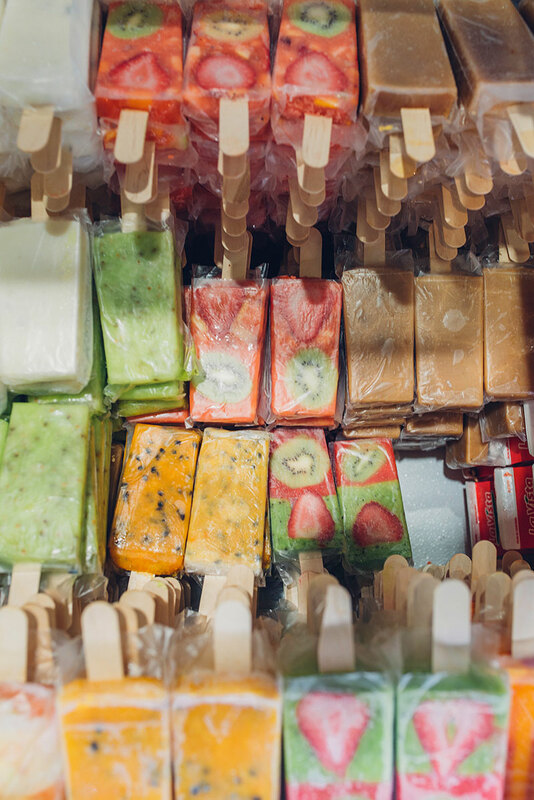 La Michoacana Premium has traditional ice cream options, but its eye-popping frozen fruit lollies (and matching decor) are what make it stand out in the neighborhood. This Mexican-style ice creamery puts chain offerings to shame: Yes, there are almost 20 ice-cream flavors to choose from, but the real attractions are the paletas (ice lollies), cream- and frozen-fruit-based popsicles in every color. 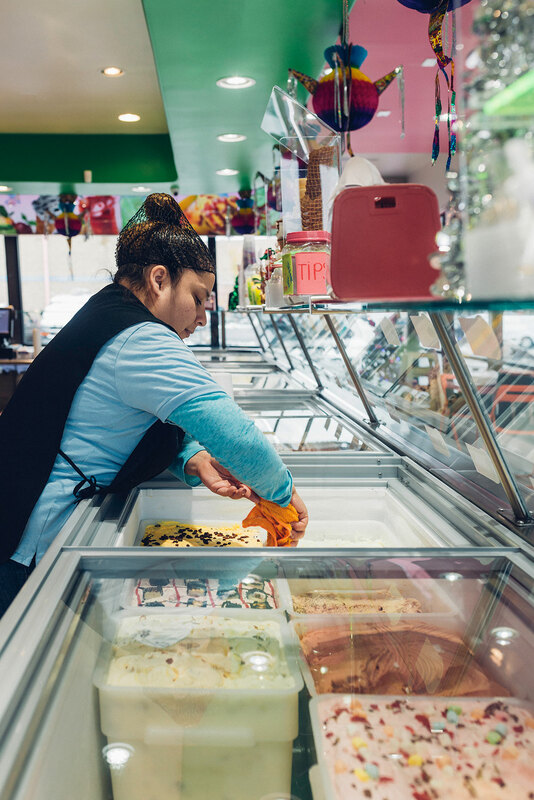 La Michoacana has multiple locations in Chicago, but its Pilsen location on South Blue Island Avenue is its most eye-catching, with bright neon signage and glass windows that showcase its dessert spread. Birrieria Reyes de Ocotlan, which specializes in goat stews and dishes, has an unassuming exterior, but a fiercely loyal set of customers that swear by its authenticity. Birria—a long-simmered, intensely spiced stew that originated in the Mexican state of Jalisco—isn’t one of the Mexican dishes that everyone knows to get. But in Chicago, and Pilsen in particular, birrierias (eateries that specialize in the dish) are popular neighborhood mainstays. Birrieria Reyes de Ocotlan, on the corner of West 18th Street and South Ada Street, also emphasizes goat stews and goat tacos, and the decor includes goat figurines. At Carnitas Urupuan, the spotlight is on meat dishes cooked every which way. It's a small space, but it attracts customers around the clock. Urupuan, a large city west of Mexico City in the state of Michoacán, is known for its carnitas: “Little meats” is the literal translation. They’re made by simmering pork for hours until it’s melt-in-your-mouth tender, then served with a spread of coriander, refried beans, tortillas, salsa, guacamole, and onions. 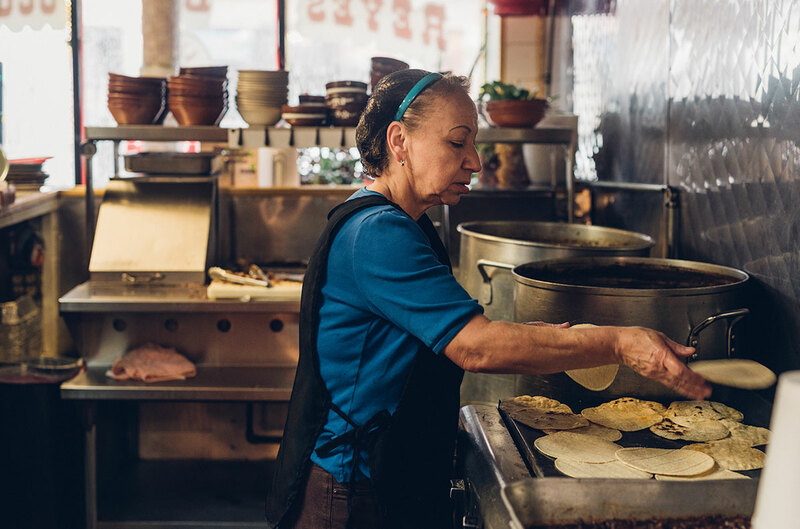 Carnitas Urupuan has been beloved in Pilsen since 1975, when Inocencio “El Guero” Carbajal decided to bring his hometown’s cuisine to Chicago. 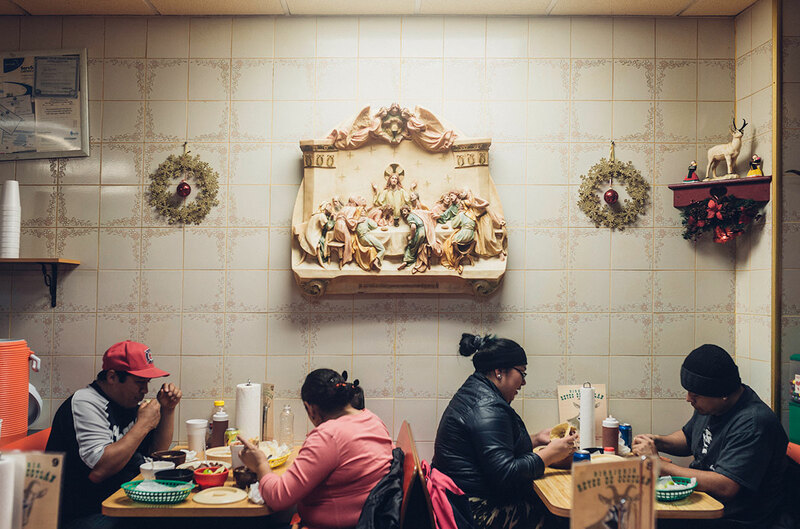 Right across the street from the 18th Street subway station, Carnitas Urupuan is bustling at all hours of the day. As the 19th century drew to a close, Pilsen was still largely Czech and working class. 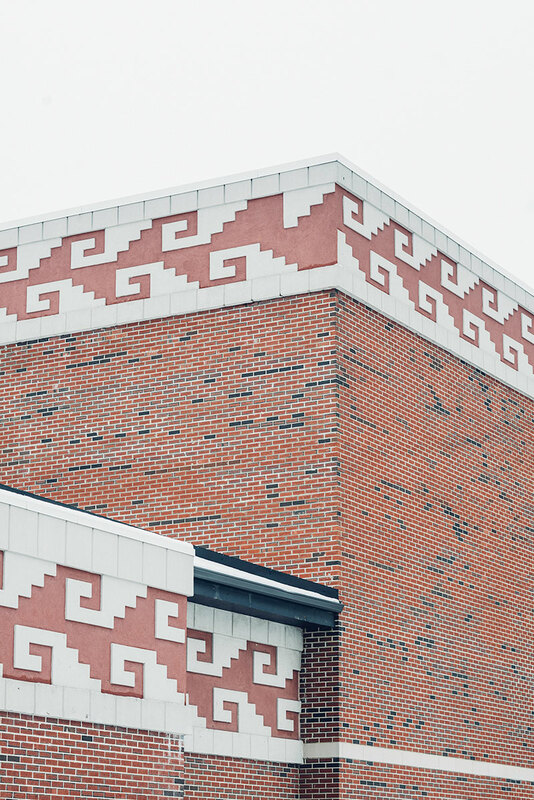 John Dusek, a local tavern owner who wanted to bring entertainment to the neighborhood, commissioned the architects Faber & Pagels to design a multiuse building that functioned as both a gathering hall and a performance space, and Thalia Hall was born in 1892. Thalia Hall is now a well-known events venue and dining spot not only in Pilsen, but also amongst those who live in the city center. Over the following decades, Thalia Hall remained a crucial neighborhood establishment, not only for performance and the arts but also for political organization. What we now know as the Czech Republic and Slovakia was a part of the Austro-Hungarian empire, but thanks in part to the activism of Pilsen’s Czech population, statehood was granted to “Bohemia” in 1918. Thalia Hall was where those activists gathered. 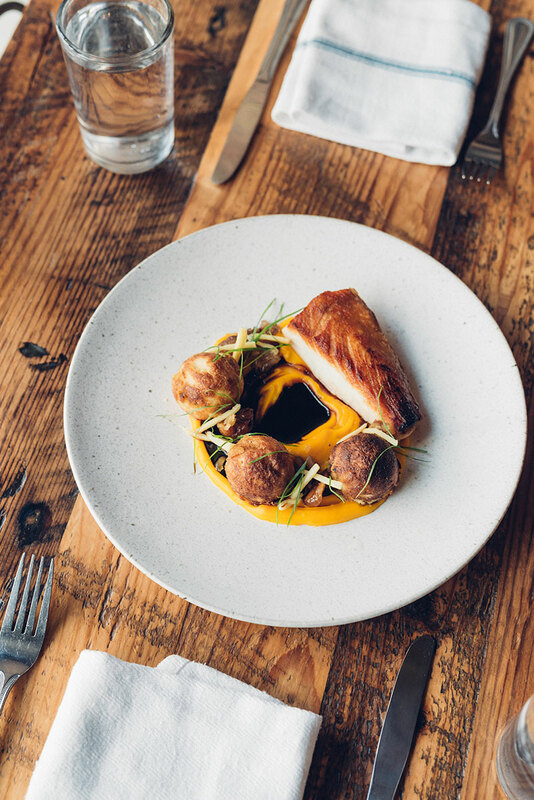 At Dusek's, a cozy gastropub space that faces the street, the quality of the food is matched only by the warmth of the atmosphere. Thalia Hall isn’t just a neighborhood fixture anymore, though—residents from all of Chicago’s neighborhoods recognize the name, and have probably seen a show there. Bruce and Craig say that they see a “nice cross-section of the neighborhood” on any given night at the venue or in Dusek’s.